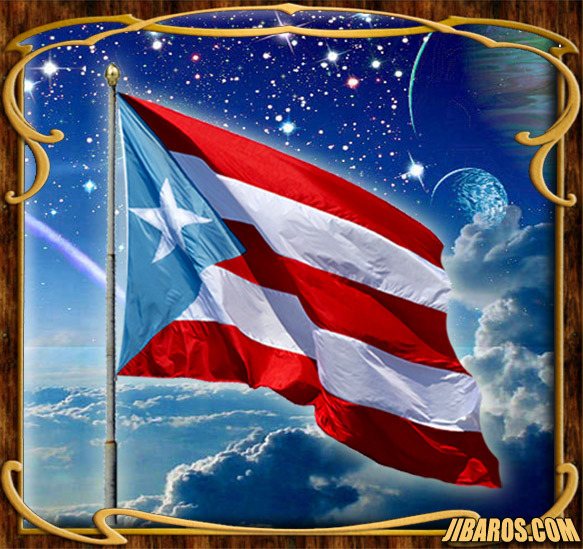 The origins of the current flag of Puerto Rico, adopted by the commonwealth of Puerto Rico in 1952, can be traced to 1868, when the first Puerto Rican "The Revolutionary Flag of Lares", was conceived by Dr. Ramón Emeterio Betances and embroidered by the great Mariana "Brazos de Oro" Bracetti and was used in the short-lived Puerto Rican revolt against Spanish rule in the island,"El Grito de Lares". 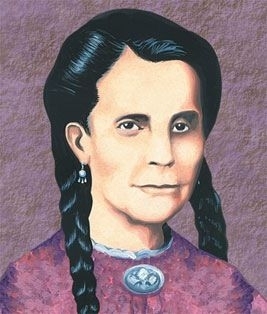 Juan de Mata Terreforte, an exiled veteran of "El Grito de Lares" and Vice-President of the Cuban Revolutionary Committee, in New York City, adopted the flag of Lares as official for Puerto Rico until 1895, when the current design, modeled after the Cuban flag, was unveiled and adopted by the 59 Puerto Rican exiles of the Cuban Revolutionary committee, as a symbol of solidarity. 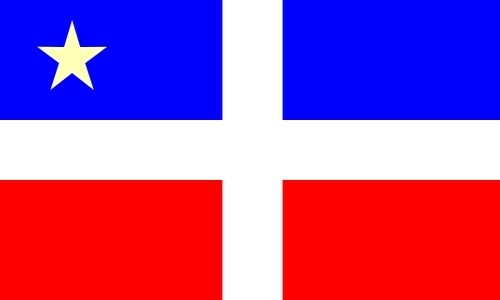 The new flag, which consisted of five equal horizontal bands of red (top and bottom) alternating with white; a blue isosceles triangle based on the hoist side bears a large, white, five-pointed star in the center, was first flown in Puerto Rico on March 24, 1897, during the "Yauco" revolt. 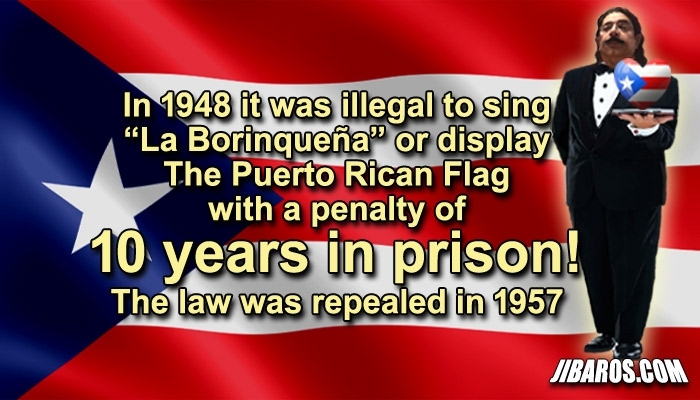 The use and display of the Puerto Rican flag was outlawed and the only flags permitted to be flown in Puerto Rico were the Spanish flag (1492 to 1898) and the flag of the United States (1898 to 1952). In 1952, the Commonwealth of Puerto Rico adopted the same flag design, which was unveiled in 1895 by the Puerto Rican exiles within the Cuban Revolutionary Committee, as its official standard. The color of the triangle that was used by the administration of Luis Muñoz Marín was the dark blue. 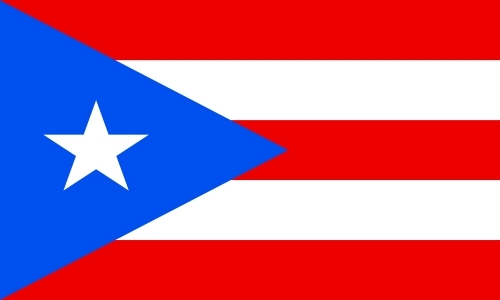 In 1995, the government of Puerto Rico issued a regulation regarding the use of the Puerto Rican flag titled: "Reglamento sobre el Uso en Puerto Rico de la Bandera del Estado Libre Asociado de Puerto Rico", in which the government specifies the colors to be used but does not specify any official color tones or shades. Therefore, it is not uncommon to see the flag of Puerto Rico with different shades of blue displayed in the island. Several Puerto Rican flags were aboard the Space Shuttle Discovery during its flight into outer space on March 15, 2009.